Tiled floors are ideal for any room in the home. But when you add warmth to your tiled floor, you add a touch of luxury that brings your flooring experience to a whole new level. Imagine bare feet walking across a nice cozy floor that also has all the benefits associated with tile. An allergen-free floor covering, tile is available in endless designs, colors, and sizes, and offers easy-maintenance too. When properly installed, a heated tile floor is practically indestructible. 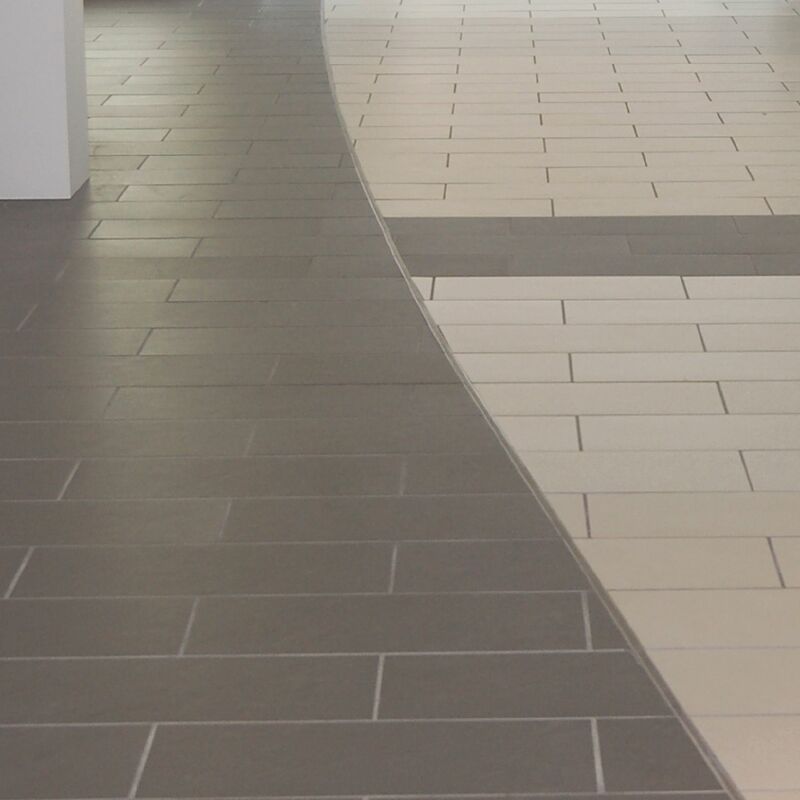 To protect the integrity of your investment, tiles need to be protected from multiple angles: from underneath, at perimeters and transitions, and within large expansions. The frequent fluctuations in temperature caused by a floor warming system lead to more expansion and contraction of materials in the floor assembly. These frequent changes create greater movement stresses in the tile covering and increase the need for uncoupling. Existing installation methods require the installation of two separate systems – a floor warming system and an uncoupling system. DITRA-HEAT is the only system that provides floor warming and uncoupling in a single layer. Uncoupling refers to the act of preventing any movement and stress that occurs in the subfloor from transferring through to the tile above, thus preventing cracked tiles and grout. Let’s have a look at two scenarios for heated floors, both featuring the DITRA-HEAT system. Each of the two applications below is a complete DITRA-HEAT floor warming system, but cover two different flooring substrates to optimize their use: DITRA-HEAT for use on plywood or OSB substrates and DITRA-HEAT-DUO with an integrated thermal break for use on concrete substrates. In this floor warming installation the DITRA-HEAT matting is being used because the substrate is plywood. The DITRA-HEAT has been specifically designed to allow for the DITRA-HEAT-E-HK heating cables to be snapped into place, while providing the same effective uncoupling protection as DITRA to prevent cracked tiles and grout. Made of polyethylene, DITRA-HEAT also serves as a waterproofing layer that protects moisture-sensitive substrates, such as plywood/OSB. Free-space on the underside of the matting provides a route for excess moisture and vapor to prevent damage to the tile layer above. DITRA-HEAT performs all these functions while still providing adequate support/load distribution for the tile covering. DITRA-HEAT-E-HK are heating cables that can be snapped into place, without the use of clips or fasteners. 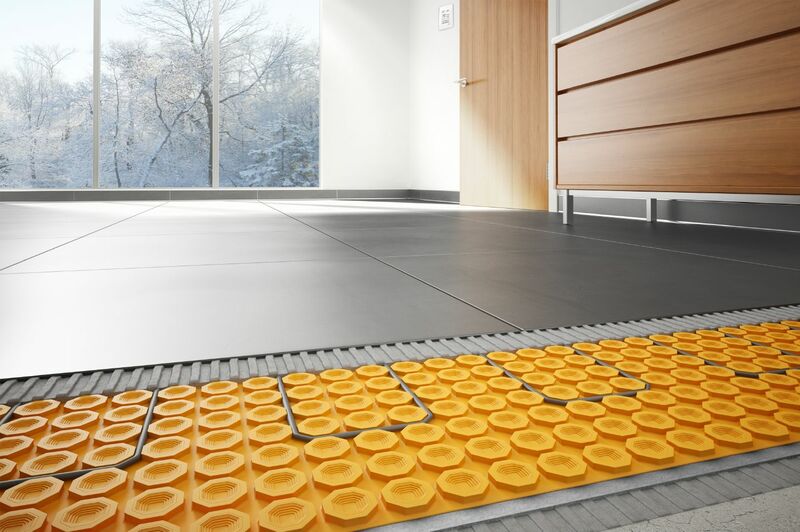 The entire tile floor can be heated, or cables can be placed to create customized heating zones. 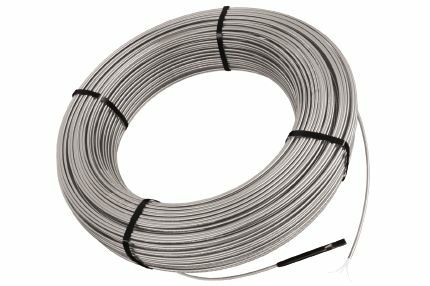 The DITRA-HEAT-EK cables are held securely within the DITRA-HEAT mat, so no self-leveling compounds are needed to encapsulate the heating cables. The installer has complete flexibility on where the cables are placed so every installation is customized to suit the exact requirements of the owner. And instead of waiting for a leveling compound to set, tile installation can begin immediately, resulting in a much faster installation. 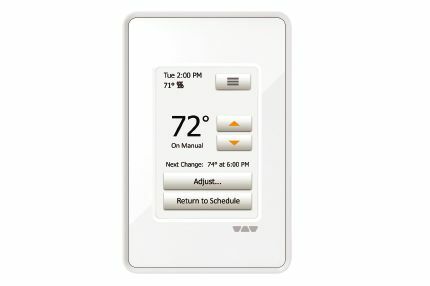 Schluter®-DITRA-HEAT-E-WiFi is a programmable Wi-Fi thermostat used to control the DITRA-HEAT-E-HK heating cables. With Wi-Fi access to your system, controlling and managing the temperature of your floor is fast and simple, whether at home or on the road. Over concrete substrates, DITRA-HEAT-DUO is ideal due to its integrated bonding fleece which provides a thermal break, as well as sound control. The integrated thermal break directs more heat up into the tile rather than down into the subfloor, resulting in tiled floors that warm up to 70% faster over concrete substrates during heat-up times. By reducing the loss of heat to the subfloor during heat-up times, DITRA-HEAT-DUO provides considerable energy savings when the thermostat is set on automatic mode and on a tempurature schedule. This system has been designed to allow for the DITRA-HEAT-E-HK heating cables to be snapped into place, and provide the same effective uncoupling protection as DITRA to prevent cracked tiles and grout. Impact sound transmission is reduced through floor-to-ceiling assemblies, making DITRA-HEAT-DUO ideal for multi-story construction. Free-space on the underside of the matting provides a route for excess moisture and vapor to prevent damage to the tile layer above. DITRA-HEAT-DUO performs all these functions while still providing adequate support/load distribution for the tile covering. DITRA-HEAT-E-HK are heating cables that can be snapped into place, without the use of clips or fasteners. 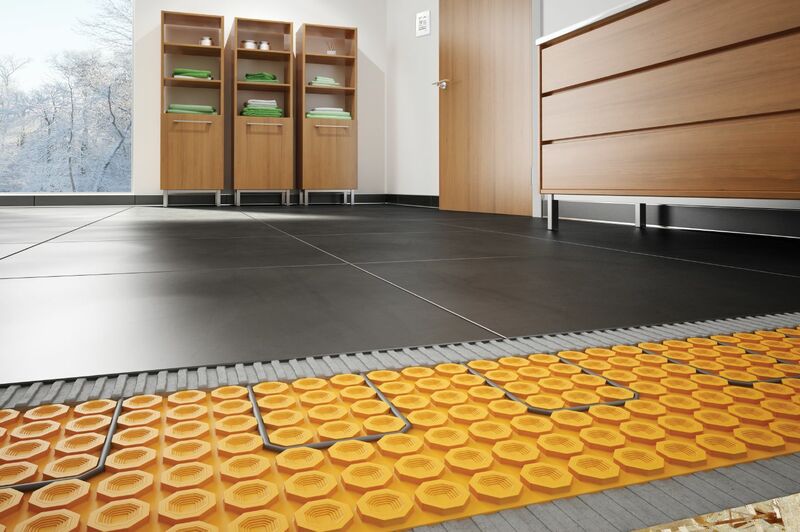 The entire tile floor can be heated, or cables can be placed to create customized heating zones. The DITRA-HEAT-EK cables are held securely within the DITRA-HEAT-DUO mat, so no self-leveling compounds are needed to encapsulate the heating cables. The installer has complete flexibility on where the cables are placed so every installation is customized to suit the exact requirements of the owner. And instead of waiting for a leveling compound to set, tile installation can begin immediately, resulting in a much faster installation. 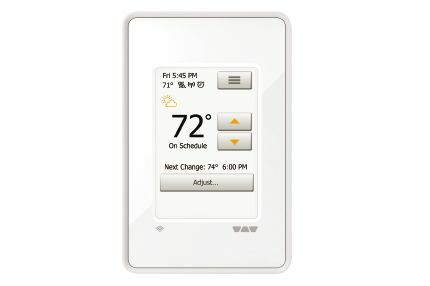 DITRA-HEAT-E-RT is programmable touchscreen thermostat, that allows you control your electric floor warming system any way you want. The thermostat features a 5 mA built-in ground fault circuit interrupter (GFCI) with indicator light, and includes a floor temperature sensor . Movement joints are an integral part of any tile assembly. The various components of a tile assembly (tile, mortar, substrate, etc.) expand and contract according to each component’s intrinsic physical properties with changes in moisture, temperature, and loading, resulting in internal stresses. 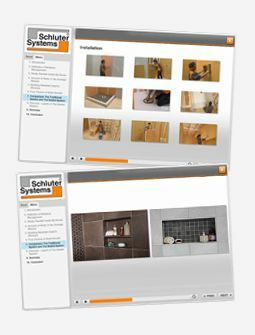 Schluter®-Systems’ prefabricated movement joint profiles protect tile edges and prevent sound bridges and surface water penetration, resulting in a permanent, maintenance-free installation. Because ceramic and stone tiles are inherently brittle, their exposed edges can chip and crack if left unprotected. Transitions between floor surfaces and at thresholds are particularly vulnerable to damage. Schluter®-Profiles provide edge protection and transitioning at thresholds and between adjacent surfaces, resulting in durable, maintenance-free tiled coverings. 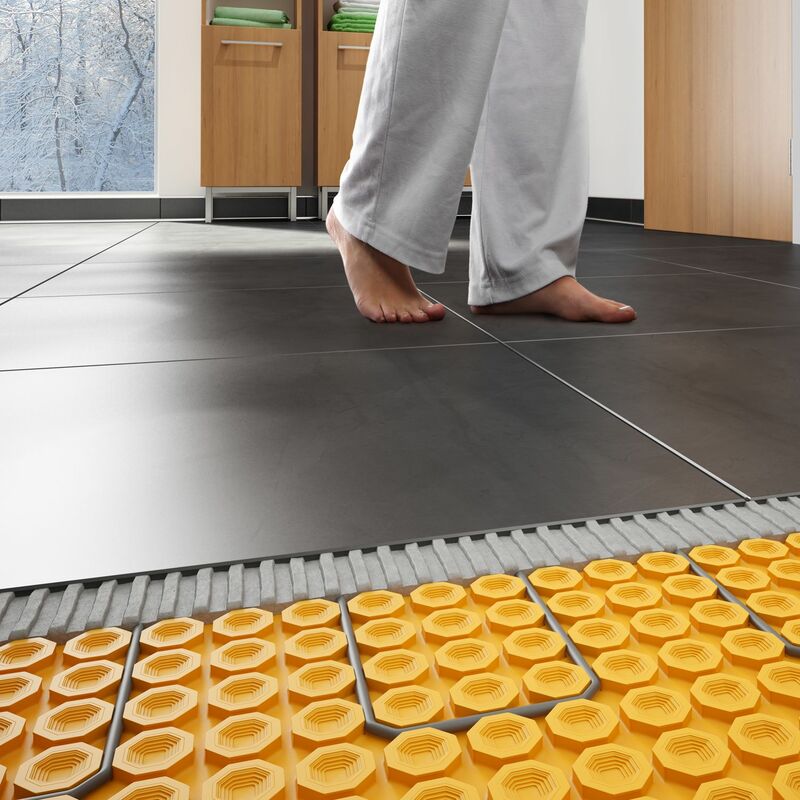 Calculate everything you need for your heated floor.